The dinner bell has rang and your sweet cats have come running. 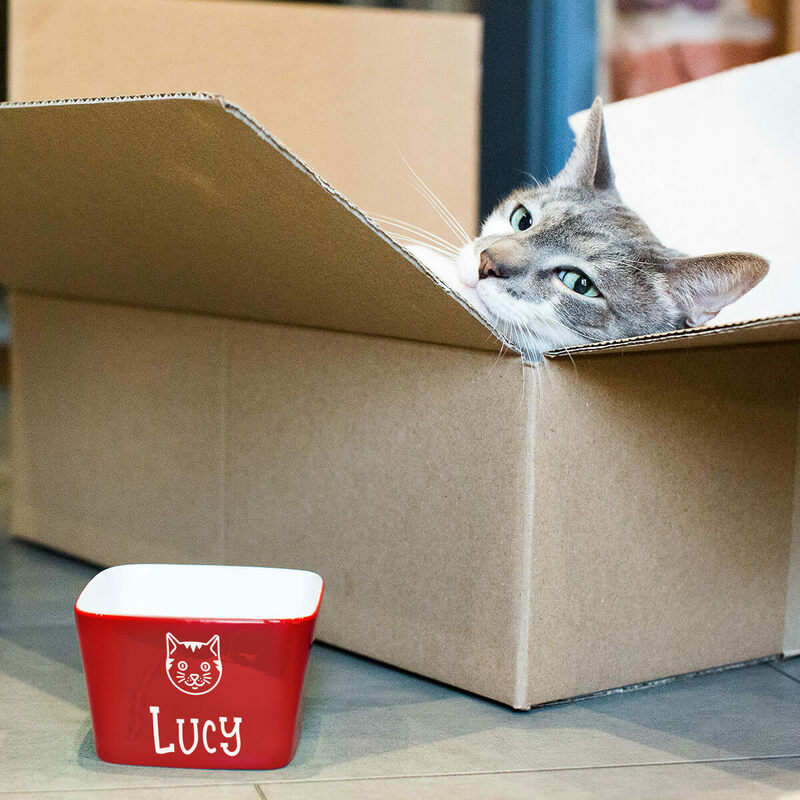 These personalized pet bowls are permanently customized with your kitty's name. 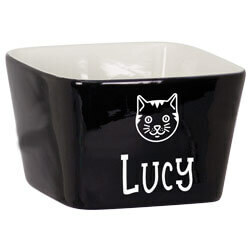 Put your cat's name to the face on this ceramic food dish. Color choices are red, blue and black. Outside engraves permanently in white. Inside is white glazed by food safety standards. Choose your font and we will take care of the rest. Order your pet's new food dish today!